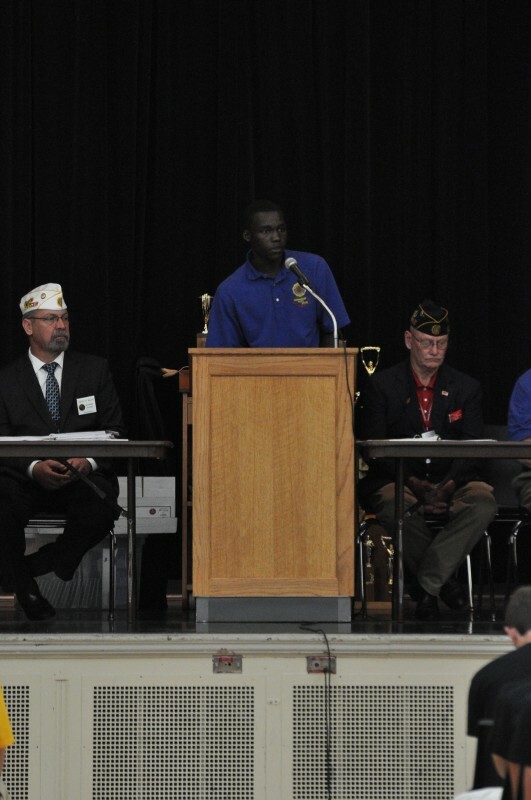 On Saturday, Vice President of the Nebraska American Legion Doug Boldt presided over the Cornhusker Boys’ State closing ceremonies. Making one of his final appearances as United States Senator, Nebraska representative Mike Johnanns delivered a keynote address of the room of nearly 400 delegates, their families, and the counseling staff. In his address, Johanns encouraged the young men to reflect on their experiences over the week and to put their newly sharpened leadership skills to work in their communities. Outgoing Boys’ State Governor Walter Paul delivered his final remarks, and Governor-elect Hunter Traynor also addressed the session. 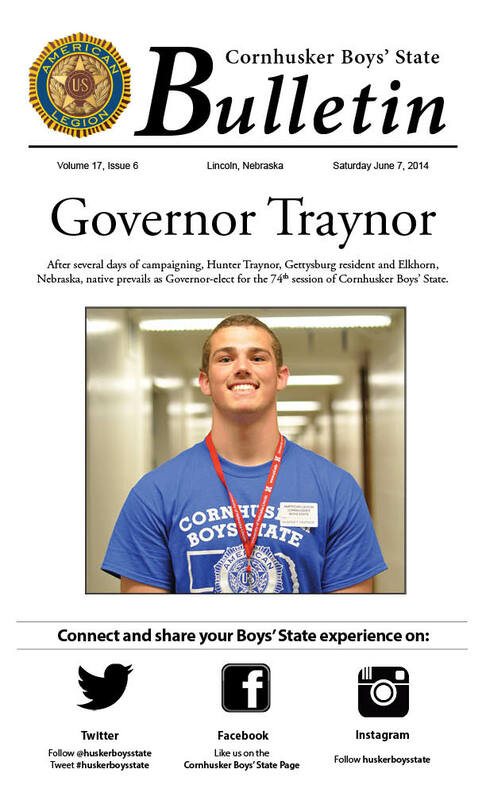 Traynor will return for the 75th session of Cornhusker Boys’ State as acting Governor. Click HERE, or on the image below to open Saturday’s edition of the Cornhusker Boys’ State Bulletin. Below are comments from District Judge Jared Pohlmann from Deshler, Nebraska. Below are comments from District Judge Caleb Wilson (Valley Forge) from Elwood, Nebraska and Trevor Polivka, a District Judge (Yorktown) from Lincoln, Nebraska. Below are comments from Kyle Upp (Bataan), a district judge from Gering, Nebraska.